From the award-winning British author—a poet's noir narrative that tells the story of a D-Day veteran in postwar America: a good man, brutalized by war, haunted by violence and apparently doomed to return to it, yet resolved to find kindness again, in the world and in himself. Walker is a D-Day veteran with post-traumatic stress disorder; he can't return home to rural Nova Scotia, and looks instead to the city for freedom, anonymity and repair. As he finds his way from New York to Los Angeles and San Francisco, we witness a crucial period of fracture in American history, one that also allowed film noir to flourish. The Dream had gone sour but—as those dark, classic movies made clear—the country needed outsiders to study and to dramatize its new anxieties. Both an outsider and, gradually, an insider, Walker finds work as a journalist, and tries to piece his life together as America is beginning to come apart: riven by social and racial divisions, spiraling corruption, and the collapse of the inner cities. Robin Robertson's fluid verse pans with filmic immediacy across the postwar urban scene—and into the heart of an unforgettable character—in this highly original work of art. 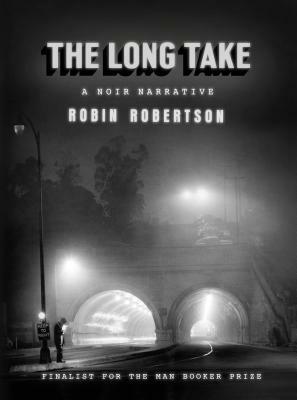 ROBIN ROBERTSON was brought up on the northeast coast of Scotland and now lives in London. A Fellow of the Royal Society of Literature, he has published five collections of poetry and has received a number of honors, including the Petrarca-Preis, the E. M. Forster Award from the American Academy of Arts and Letters, and all three Forward Prizes. His selected poems, Sailing the Forest, was published in 2014. In the UK, The Long Take has won the 2018 Roehampton Poetry Prize and the Goldsmiths Prize for Fiction, and was shortlisted for the Man Booker Prize.